This week’s roundup includes a confidence surge in British-made products, investment for Vimto maker Nichols, plus have robots now mastered the art of flat-pack furniture assembly…? Get up to Speed has made a welcome return to its now well-established home at Magna Science Adventure Centre in Rotherham. This high profile, interactive event, now in its eighth year, grows year on year and already has more pre-event bookings than ever before, currently standing at over 2,350, with over 50 schools and education establishments from across the region and beyond expected to attend. The event, driven by employers and delivered through The work-wise Foundation is believed to be the largest of its kind in the North. It has an impressive list of businesses exhibiting, including the likes of Rolls-Royce, McLaren Automotive, Tinsley Bridge, Polypipe and Yamazaki Mazak UK. 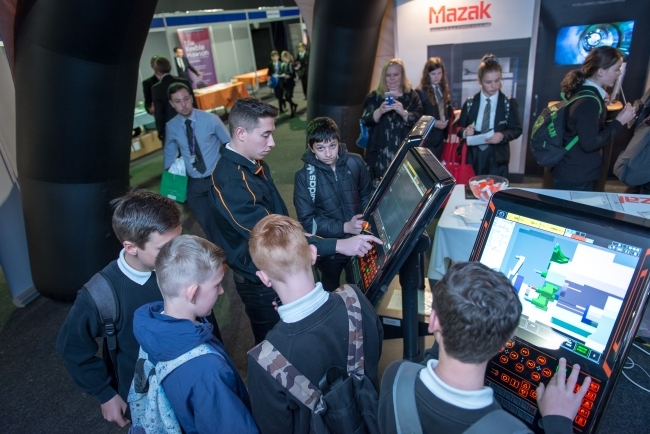 Many local companies, and increasingly national companies, attend the event with their apprentices and graduates to talk to young people and those who educate and influence them about the opportunities and careers open to them in a fun and interactive way. 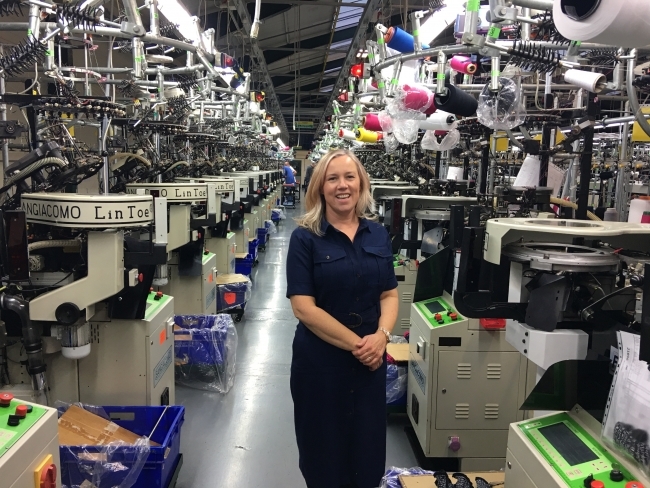 Finding British-made products is the biggest challenge facing consumers who want to buy British, according to a survey of over 1,000 people recently carried out by Make it British. The survey reveals that 50% of shoppers are trying to buy more British-made products since the UK’s decision to leave the EU. Over 77% of those questioned said that if they knew a product was made in Britain, they would believe it to be of good quality. This compares to 60% in a similar survey carried out by Make it British in 2013. Around 93% of those surveyed said they would be willing to pay more for a product made in Britain compared to buying a similar product made outside the UK. This is more than double that of the survey findings five years ago when 43% said they would pay more for a British-made product. The Make it British Live! event on 23 and 24 May at The Old Truman Brewery, London will shine the light on some great British brands and British success stories. The two-day event includes a trade show with over 200 exhibitors, a symposium and workshops and is the only 100% British sourcing event. 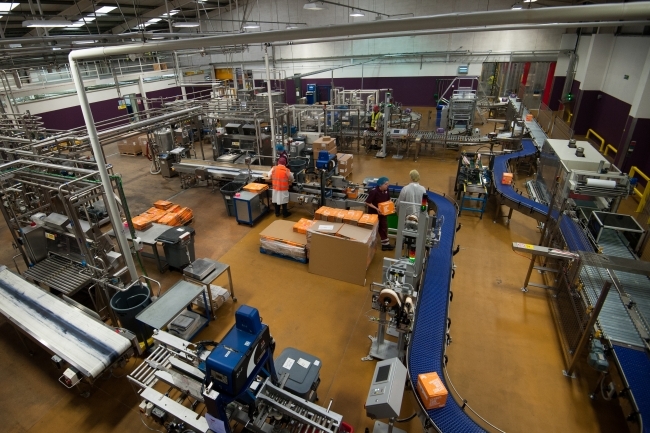 Nichols Plc has unveiled a £4.5 million investment into its site in Ross-on-Wye (Vimto Ross). The newly-designed factory forms a key part of Vimto Out Of Home, manufacturing frozen and post-mix solutions for their own customers as well as for their external partners. Having acquired the site from Dayla in 2011, Vimto Ross specialises in packing juices and syrups in bag-in-box formats from 2L to 1000L. A hugely growing channel, Out Of Home is key to the growth of Nichols plc, contributing to 28% of the total revenue. The £4.5millon investment will primarily focus on improved technology and extensive innovation, ensuring the Ross site is fit for the future. 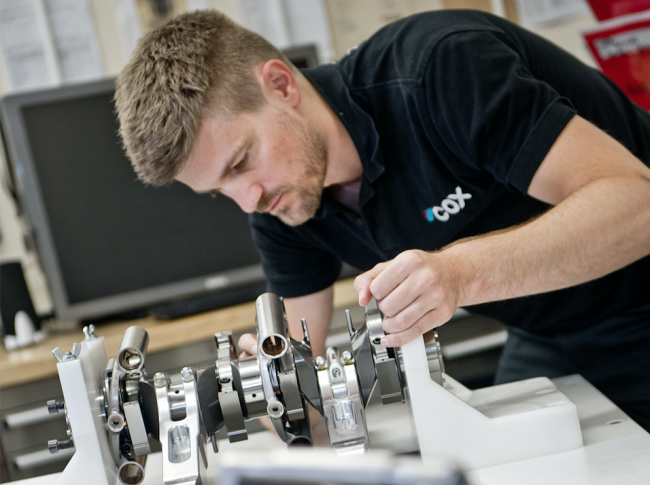 After ten years of intensive product development on its marine diesel engine, Cox Powertrain is evolving from pure research and development (R&D) to become a vendor with the ability to handle global transactions. In order to do this, Epicor ERP will be deployed in the cloud to support the manufacturer’s first international product launch and accelerate its largescale global growth ambitions. Set for commercial launch of the highest power density diesel outboard engine ever developed, the CXO300, the business anticipates a substantial product demand. The outboard is garnering significant interest from military organisations around the world, who are legally required to phase out the use of petrol-driven equipment in favour of diesel engines. Modern cities are brimming with objects that receive, collect and transmit data. This includes mobile phones but also objects actually embedded into our cities, such as traffic lights and air pollution stations – even something as simple as a garbage bin can now be connected to the internet. A smart city collects the data from these digital objects, and uses it to create new products and services that make cities more liveable. Although they have huge potential to make life better, the possibility of increasingly smarter cities also raises serious privacy concerns. Following revelations that 87m people’s Facebook data was allegedly breached and used to influence electoral voting behaviour, concerns over how companies use accumulated data has grown exponentially and it is ever more important to properly scrutinise where our data goes and how it is used. Similarly, as more and more critical infrastructure falls victim to cyber-attacks, we need to consider that our cities are not only becoming smarter, they are also becoming more vulnerable to cyber-attacks. Elon Musk wants staff to cut short unproductive phone calls and meetings as he aims to boost production of the Tesla Model 3 over the next few months. Increasing production of the Model 3 is considered key to shifting Tesla from loss-making to profitability, but the firm has repeatedly missed previous production targets. In a leaked email, published by website Elektrek, chief executive Mr Musk calls for a crackdown on the performance of Tesla’s contractors, which he says in some cases has been “worse than a drunken sloth”. And he says the firm will keep a sharper tally on expenditure in future. Mr Musk’s other thoughts on improving productivity include avoiding large meetings – which he says are the “blight of big companies” and avoiding acronyms or nonsense words – “we don’t want people to have to memorise a glossary just to function at Tesla”. The entire board of GKN have resigned following Melrose Industries’ £8.1 billion takeover being made unconditional. It comes as Gavin Williamson, the defence secretary, has signalled to his colleague Greg Clark, the business secretary, that he does not think the takeover deal should be referred to the Competition and Markets Authority. Instead, Mr Clark and Mr Williamson are expected to seek additional guarantees from Melrose on the company’s future defence work, before a formal decision to approve the deal is given, probably next week. Those who fear the rise of the machines, look away now. In a laboratory in Singapore, two robots have mastered a task that roundly defeats humans every weekend: they have successfully assembled an IKEA chair. Engineers at Nanyang Technological University used a 3D camera and two industrial robot arms fitted with grippers and force sensors to take on the challenge of building an £18 “Stefan” chair from the furniture company. Working together, the robots completed the job in 20 minutes and 19 seconds after having the parts placed in front of them. More than half of the time was spent planning moves, with the execution taking nine minutes in total. Typically, the job takes a person 10 to 15 minutes, an IKEA spokesperson said. The robots didn’t work out what to do from scratch. They were programmed to know what the parts of the chair looked like, how they should go together, and in what order. “What it works out on the fly is how to do it,” said Pham. So far the robots can only assemble the chair frame, which is held together with wooden pins. To put each one in place, the robot finds roughly the right spot and then moves the pin around in a spiral until it locates the hole. Here is an extraordinary statistic: since the Volvo XC90 went on sale in the UK in 2002, it has sold over 50,000 vehicles, yet not a single person has been killed while driving it, or as a passenger. It is, according to the independent laboratory Thatcham Research, the safest car it has ever tested. One reason for the Volvo’s success is that it was an early leader in the use of camera and radar systems to warn drivers about hazards on the road. These systems now automatically bring the car to a stop if it gets too close to another vehicle. Apart from saving your life, Autonomous Emergency Braking (AEB) – as it is known – could also bring cheaper insurance premiums. Using lasers, cameras or radar, the car will detect an impending collision, and give the driver a warning. If he or she doesn’t take action, the car will brake automatically. 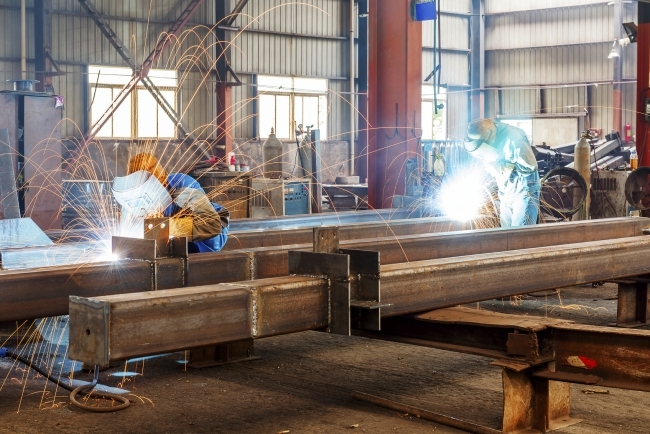 Thatcham Research calls AEB the most significant development since the safety belt.